After finishing my corset, I yearned for a quick and easy project to refresh myself. 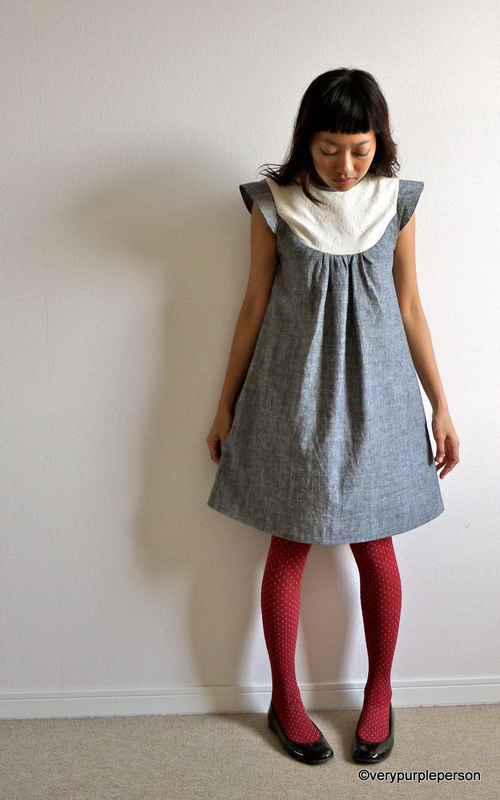 Refreshing from one sewing project by making another sewing project? One might wonder if I have no life beside sewing lol. 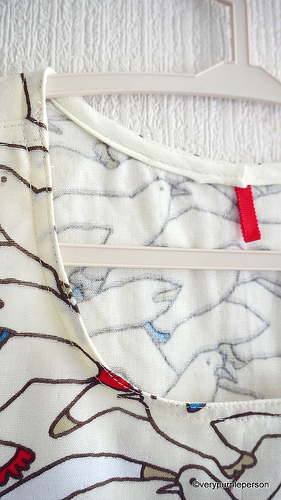 Anyway I was in Okadaya, a fabric store in Shinjuku, to find some corset supplies when I found this piece of double gauze fabric with cute birds pattern. It was only 70 cm but I bought it anyway, thinking that I could make it into a simple top. 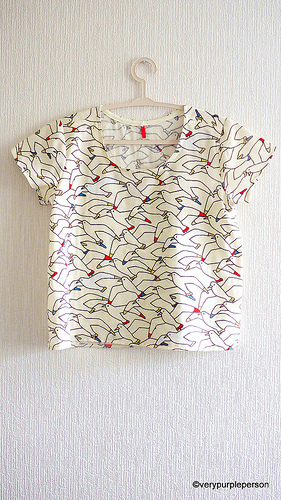 The Scout Woven Tee from Grainline studio has been in my stash for sometime and I think the simple shape is great to show off the bird print. 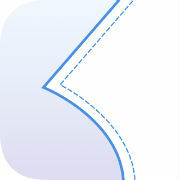 I cut size 0 with no alteration except for shortening it about 5 cm. My fabric is of course not enough for the neckline binding, I used store bought binding in light yellow double-gauze cloth. 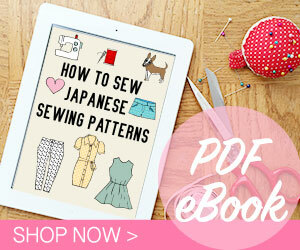 It is such an easy and simple pattern with wonderful shape! I can easily see this tee become one of my everyday staple. 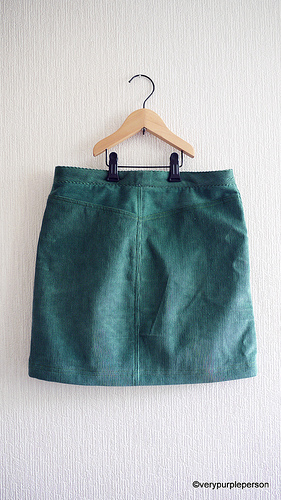 What is better to wear with a Scout Woven Tee than the Moss Skirt from Grainline studio? Of course! I bought the Moss skirt PDF pattern rightaway and start cutting into my fabric that afternoon. 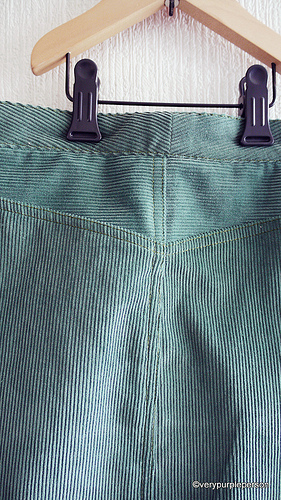 The fabric is green corduroy, the same one that I used for Sidra’s sarouel pants. I cut size 0, did a little swayback alteration, and lengthened the hem about 5 cm. It was indeed a very mini skirt before lengthening! 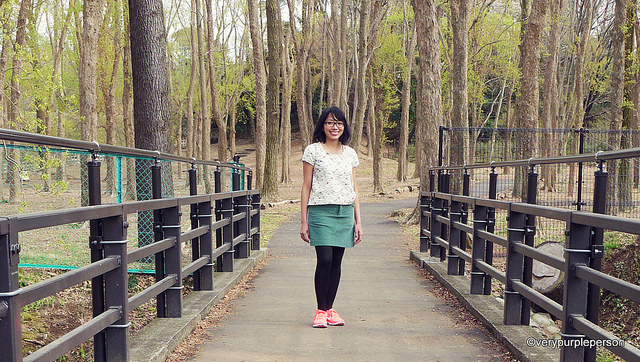 As the Scout Woven Tee, the Moss skirt is also an easy and simple pattern. The most difficult part was probably the fly front zipper but I’ve made this several times so it went okay. 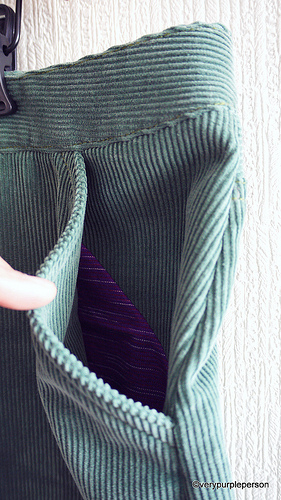 My skirt also has center back seam on the waistband because I wanted the corduroy grain to stay horizontal on the front. 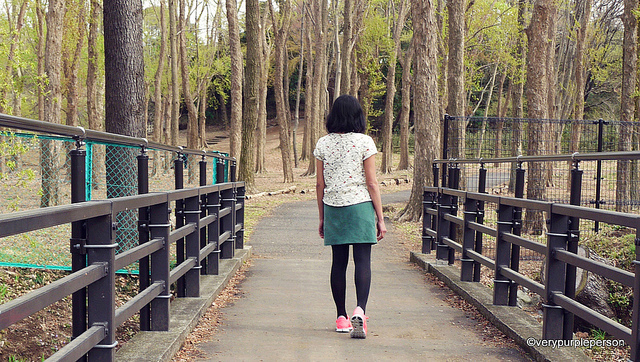 The next day I went to a park near my house to enjoy the beautiful day with Sidra. 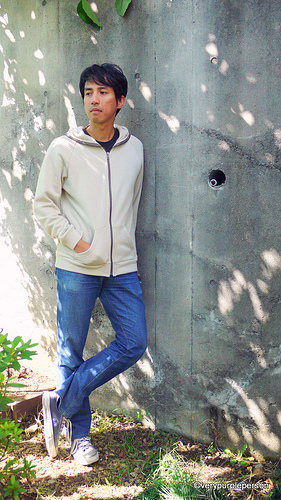 I rarely took pictures of my outfit outside because I was shy. How all of you do it? But actually I live in a very wonderful area with lake, park, and woods nearby. I’ve brought my tripod with me but was too shy to set it up taking self-pictures in front of people. Eventually I asked Sidra to be my photographer that day. He was very excited that he was finally allowed to use the SLR and took hundreds of pictures of me, of flowers, of people, and of dogs. He did a wonderful job although I was too self-conscious to pose. I think I look a little different when other people taking pictures of me than when I took them myself, don’t you think so? 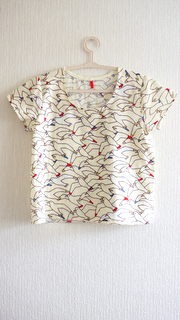 Top pattern is Scout Woven Tee size 0. 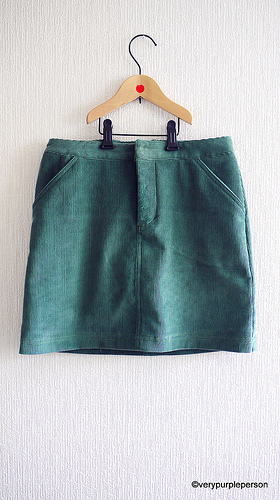 Skirt pattern is Moss Skirt size 0.